Suited Security Guard services is the final touch you need for establishment or special event. Transform your security presence from average to sensational with the clean-cut, polished appearance of Suited Security Guards from SecuriWORLD Canada. We understand that each special event has its own unique style, therefore; we ensure that your Security Guards fit the occasion from their dress shoes to their cuff links. 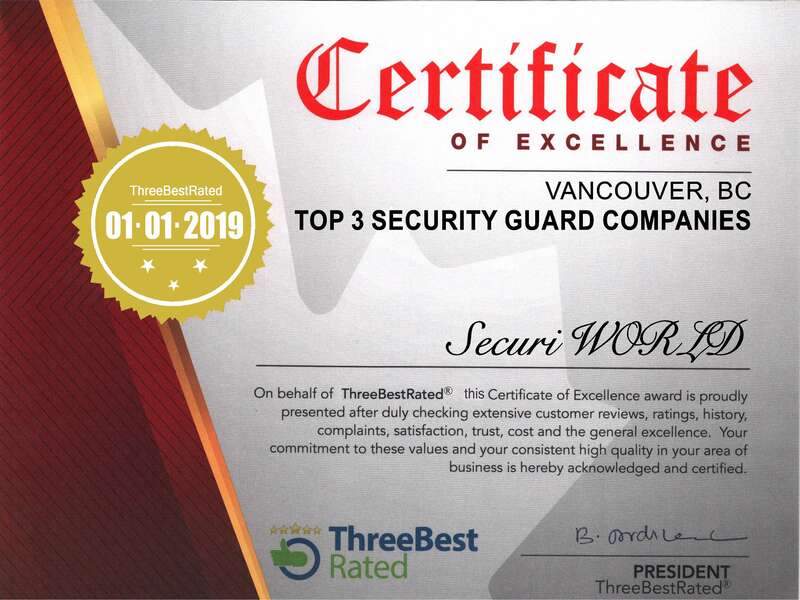 SecuriWORLD is the only Security Company in the Vancouver Security Industry with a full profile for excellent customer service, high quality presence and the flare you need to stand out.